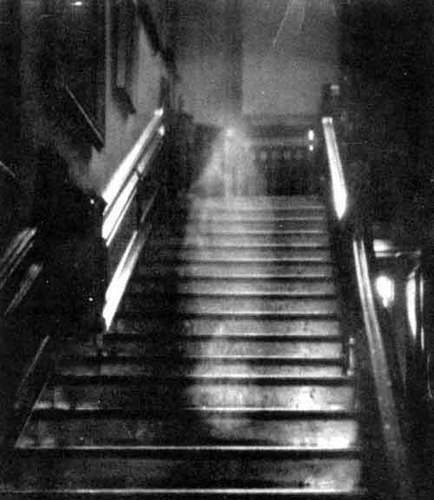 The hall is haunted by the ghost of Lady Dorothy Townshend (or the "brown lady" as she is more commonly known). The photograph (pictured below) was taken in 1936 by Captain Provand and Indra Shira who were from the Country Life magazine. Provand was preparing to photograph the staircase, when Indra noticed a misty grey shape floating down the stairs. Upon inspecting the negatives later that day it appeared that they had in fact caught the ghost of Lady Dorothy on film. 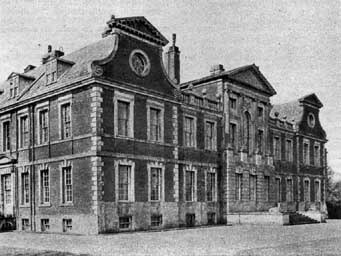 The ghost has been reported many times by numerous guests such as George IV (then Prince Regent) and the famous author Captain Marryat. She was even described by eyewitness Lucia Stone in 1849 as "wearing richly brocaded brown dress with a coif on her head', but the most frightening aspect was that instead of eyes she had two dark, hollow sockets! ".